Truth be told if you’re renting a single-family home, an apartment and/or an office for your business in a building owned by someone else, you have little reason to be concerned about the title insurance that covers them! That is of course unless at some point there’s a claim that calls the ownership of that building into question and you’re asked to vacate. But, if you are a buyer of residential or commercial property in New York State, the title insurance company chosen to provide the policy along with the underwriter being used to issue that policy is of primary importance! Unfortunately however, the title insurance portion of their transaction is one of the last things on the minds of the buyers, as it will typically be their attorney who makes the selection. The actual purchaser of the policy will simply be asked to write the check to the title company at the closing table and dutifully comply if they want the transaction to close. Question: What other purchase, whether insurance or otherwise, will you as a consumer take no active role in the selection process? A new car, television, health insurance, life insurance or new set of golf clubs to name just a few will typically be purchased after some amount of consideration and thought given by the buyer. So, in the case of what may be the largest financial transaction of someones life, why is the decision about the critical component of title insurance ceded to someone else? That someone is typically the attorney (for a purchase) or mortgage broker (for a refinance) handling the transaction. This person, it is hoped, has the best interests of the client in mind. And in the vast majority of instances they most certainly do. But consider this…In the world of title insurance there are a variety of underwriters with differing financial strength ratings, title insurance policy providers with claims experience that can and will vary from company to company and, finally, non- title insurance premium costs that can vary in the hundreds to even thousands of dollars across firms! If someone else is handling the title insurance arrangements, ask questions! a) Who is the underwriter and what are they rated? b) How many claims has the abstract company faced and what were the causes of the claims? c) And, are the non-title insurance premium fees fair? Are you being asked to pay more for the property survey than was charged by the surveyor? If so, why? Finally for a more complete explanation, read ‘New York Title Insurance: Always Compare Apples To Apples! (Chart)’! * Title insurance premiums will not vary among firms that are members of TIRSA. 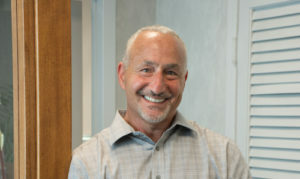 Article was written by Hallmark Abstract Service President and Heroes To Heroes Foundation Board Chair Michael Haltman. If you have any thoughts or questions for Michael he can be reached at mhaltman@hallmarkabstractllc.com or (646) 741-6101. Pingback: In New York, Why Should You Care About Title Insurance?